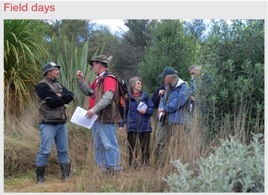 NZ Farm Forestry - Making a stand by refusing to plant? Hamish Levack, New Zealand Tree Grower August 2013. The Wellington-based team addressing the need to convert the upcoming wall of wood into a reliable non-declining timber yield, published an article about its work in the November 2012 Tree Grower. It outlined that we have a time frame of several years to identify and involve forest owners who are not members of the NZFFA to develop ways of working together to flatten the production spike which will arrive in the 2020s. What cannot be deferred is the need for the government to accept that it has a vital role in promoting a new planting rate of at least 20,000 hectares a year. The team wrote to Minister David Carter last November pointing out that investment in new planting would be unlikely in 2013 because grower profits from wood sales were insufficient. In addition, the enactment of the Climate Change Amendment Bill had destroyed the prospect of an adequate supplementary carbon income. The team offered to help him quantify the ecosystem service values of afforestation. We asked him, for example, whether he was aware of Scion’s recent estimate that the value of avoided erosion from the planting up of 200,000 hectares of erodible hill country was at least $1.1 billion. His answer was not very encouraging. The gist of it was that MPI were analysing options for encouraging afforestation and that officials would be in touch with sector groups at an appropriate point in their work to seek their input. After considerable prompting, MPI officials agreed to meet in March with NZFOA and NZFFA representatives to discuss the possibility of supplementary measures to stimulate forestry. At this meeting it was stated that MPI was working on a Cabinet paper which would recommend a sort of expanded contestable fund such as the recently cancelled Afforestation Grant Scheme. It was hoped that a first draft would be ready for consideration by forest sector representatives within about a month. However this never happened and by mid-May we knew that this had all been a waste of time because no money was allocated to it in the budget. The onus is on us to explain that, by itself, the free market will not achieve significant areas of new planting. We need to get the government to pay a contribution towards the value of the ecosystem services that new planting provides. We also need to lobby to diminish other impediments that constrain the attractiveness of new planting as an investment. Distortions caused by the lack of a capital gains tax mean that land suitable for forestry is unavailable at a price which would generate an adequate commercial return. gross harvests. Recent reform of the Financial Markets Authority does not help either. It disallows cash flow projections in prospectuses beyond three years, which dissuades entrepreneurs from assembling forestry investment partnerships. Many other disincentives can be cited. Nitrogen leachate allowances from land around Lake Taupo effectively prevent change from forestry to some other land use. Owners are now obliged to pay for the carbon emitted if a forest first planted before 1990 is converted to another land use. Some organisations which have planted steepland forests, including those encouraged by an East Coast Forest Grant, now find that the conditions attached to a consent to cut down their trees are too stringent to harvest at a profit. Post-1989 forest owners who were enticed into the Emissions Trading Scheme are now faced with penalties and obligations with little prospect of any benefits. The existence of the various schemes, such as the Permanent Forest Sink Initiative, shows that the government does feel more new planting is required. However it lacks any coherent strategy, has no new planting targets and has failed to do relevant economic analyses. 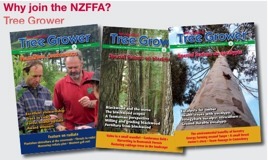 How about the suggestion that the NZFFA make a public announcement that it cannot recommend its members should establish any significant new areas of trees until the government creates a more favourable operating environment? This could elicit a positive reaction from the government.